Authentic move-in condition Spanish charmer. 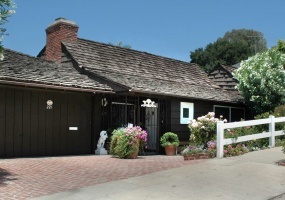 Located on a spacious corner lot in a sought after neighborhood in Westwood just walking distance to the village, this emotional 2 bedroom, 1 1/2 bath home features a living room with fireplace and stenciled beamed ceiling, formal dining room and a bright kitchen. 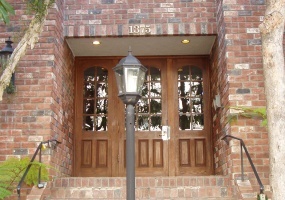 CLASSIC TRADITIONAL 3 BEDROOM AND 1.75 BATH ENTERTAINERS HOME. LOCATED IN DESIRABLE BEEMAN PARK AREA ON A CUL-DE-SAC. THIS CHARMING HOME HAS HARDWOOD FLOORS, CROWN MOLDINGS, FRENCH WINDOWS AND DOORS. FEATURES INCLUDE FORMAL LIVING ROOM W/ FIREPLACE, FORMAL DINING ROOM AND FAMILY ROOM WITH WOOD BEAMED CEILINGS AND BUILT-INS. CLASSIC SPANISH HOME IMPECCABLY REMODELED AND EXPANDED IN 2010 KEEPING THE ORIGINAL CHARM WHILE UPGRADING WITH MODERN LUXURIES THROUGHOUT. 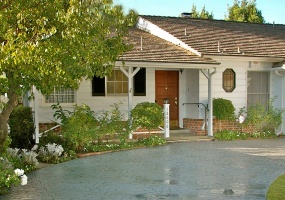 ENTER THROUGH A CHARMING COURTYARD TO THIS BEAUTIFUL ONE STORY, 3 BEDROOM, 2 BATH HOME. OPEN FORMAL DINING AREA, LARGE LIVING ROOM WITH BEAM CEILINGS, HARDWOOD FLOORS, FRENCH DOORS & WINDOWS, BUILT IN SOUND/SPEAKER SYSTEM. Move right in to this light and bright, beautiful 2 bedroom, 2 bath unit conveniently located in a sought after Westwood location. Living room with fireplace opens onto the dining area and balcony creating a wonderful entertainment flow. Features include kitchen with eat in breakfast area, master bedroom with ample closet space, washer/dryer hook ups in the unit, and much more. An english farmhouse designed and built by the renowned Robert Byrd. charming 3bed, 3bath home. features include hand hewn beams, pitched ceilings, peg and groove floors, rough sawn cedar walls and custom black iron hardware. living rm w/brick fp, fam rm w/fp leads onto a two level brick patio outlined by an english garden perfect for entertaining. Welcome to casa de fuentes! 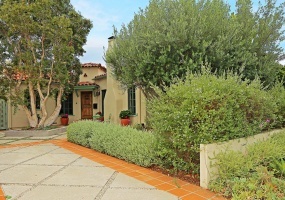 this beautiful 3 bedroom, 2 bath Spanish home is situated behind gates and is completely private from the street. 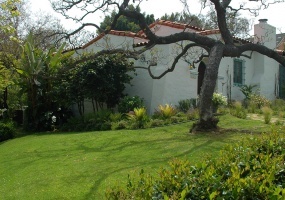 this property promotes California living at its best. all rooms open onto a peaceful and tranquil oasis which features a pool, spa and outdoor entertaining spaces. 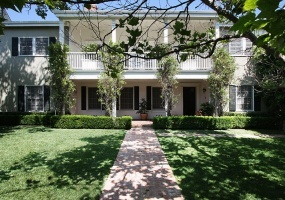 Located in the Pacific Palisades Highlands, this beautiful traditional styled home boosts quality and charm. The open floor plan is perfect for entertaining on a grand or intimate scale. The home has a total of 5 bedrooms. 3 baths and features a formal entry, step down living room with marble fireplace and a formal dining room. Gorgeous unit in the sought after Westgate complex. 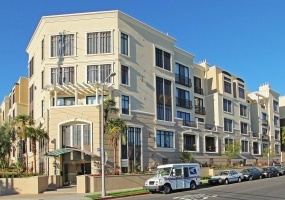 this bright and sunny 2 bedroom, 2 bathroom unit has a wonderful open floor plan. features include a kitchen with granite counter tops and built in refrigerator, living room with fireplace that leads out to a spacious balcony, and master suite complete with walk in closet and luxurious bathroom. 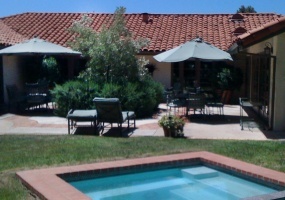 Completely remodeled interior California hacienda built around courtyard pool and spa. 5 bedrooms and 5 baths plus detached office or family room. great for entertaining, gourmet kitchen, large dining room, hardwood floors, crown moldings and great flow. 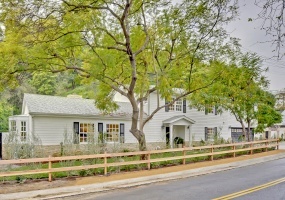 Beautifully remodeled East Coast traditional in prestigious Lower Mandeville Canyon. Located in one of the most coveted and sought after canyons in the city, this home will make you feel immediately welcomed with charm and character with features such as beautiful dark hardwood floors, beamed ceilings, and open and inviting living spaces. This private and gated east coast trad is truly enchanting. upstairs has 4 bd +a playroom/media rm. the master suite includes a fp and ba w/ steam shower & has french drs that lead out to a balcony that extends the entire length of the hse. 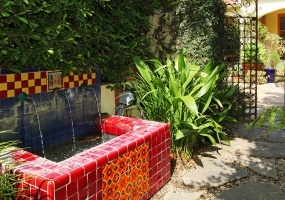 downstairs there are 2 bd, a formal din rm & informal din area & a sun filled fam rm. Private, gated and beautifully landscaped cape cod style home embodies the perfect balance of elegance and sophisticated beach style living. kit has honed granite counters, viking stainless steel appliances and opens onto the brkfst area and fam rm with vaulted ceiling and built-ins. in addition to the liv rm w/ fp and formal din rm, there is also an office and gym.